Morte D’Arthur was a drama adaptation of the book by Sir Thomas Malory, based on John Barton’s adaptation. It was transmitted in 1984, under Robin Midgley’s leadership of the English Regions Drama Department at Pebble Mill in Studio A. 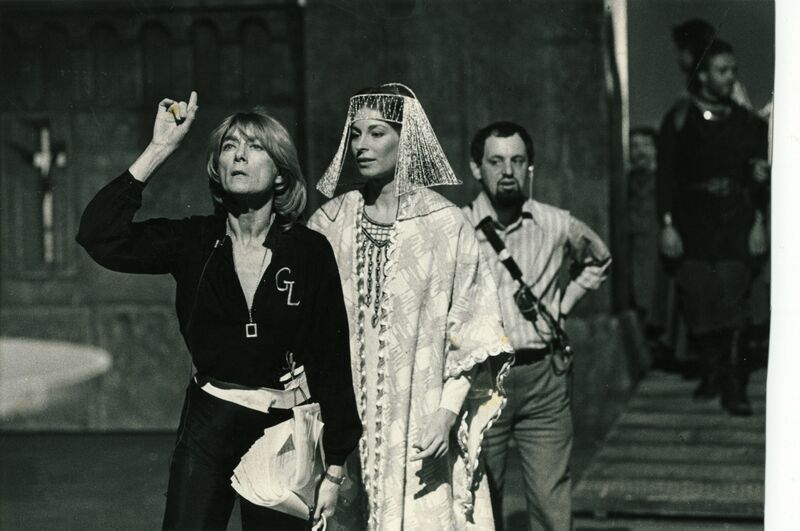 It was directed by Gillian Lynne (seen in both photos here) and produced by Robin Midgley. Bob Jacobs (behind Barbara Kellermann in the top photo) was the 1st Assistant Director. The drama featured: Barbara Kellerman, David Robb, Anton Dolin, Jeremy Brett and Nickolas Grace.